Can we talk about the 6ft Rhino in the room? Home → Accessories → Can we talk about the 6ft Rhino in the room? OK, I am a new blogger but, I definitely have enough experience in design to know that eclectic with class is huge. 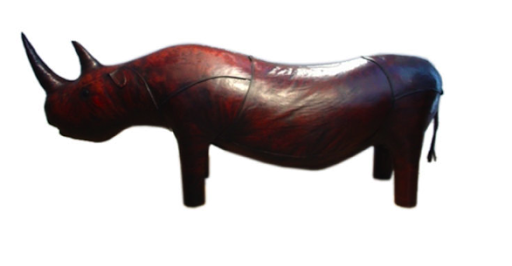 With this sculpture, it would add that eclectic twist to any decor. This piece is by Lamberty in London. It is on sale for $8700.00! Yeah, at that rate, I would love it, but unfortunately, it won’t be making an appearance in my living room anytime soon. I am right now in search for something more economical for one of my projects.